dimensions 13.7" x 16.3" x 2.3"
Free up valuable desk space and take the monitor completely off the desk; the 100-mm standard VESA pattern supports wall or swing arm mounting with the HP Quick Release or HP Monitor Arm (each sold separately). Stable product lifecycle and minimum one-year lifespan help ensure product consistency across staggered deployments. 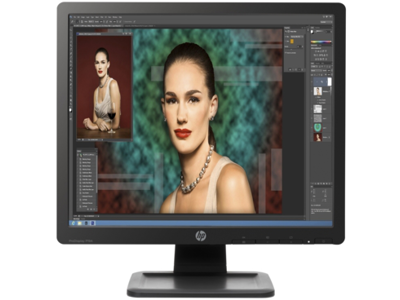 HP Display Assistant consolidates monitor setting controls into an easy-to-use, centralized interface.